We help you understand the web. We like to support non-profit organizations at low cost fees. A good strategy needs to grow. Let us grow it together. We love to hear from you. Tell us what kind of help you need. 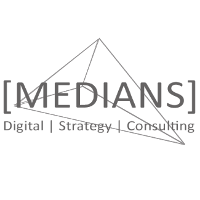 We offer consulting for your strategy in the digital world. We support non-profit organizations with special low-fare conditions. Feel free to contact us and let’s meet for a coffee – via Skype or in real life.